Publisher G.C. Book Publishers Ltd.
A special 1st edition limited to 600 copies, each personally numbered and signed by the author. 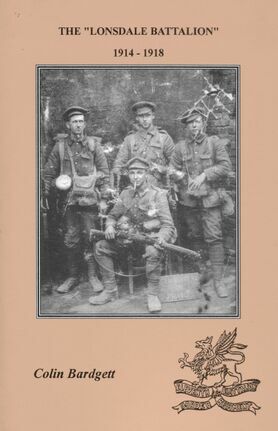 The Lonsdale Battalion 1914–1918 provides you with a detailed account of the Lonsdale actions from the early days of formation through to the Battalion's eventual disbandment on 31 July, 1918. This page was last edited on 15 February 2017, at 20:14.